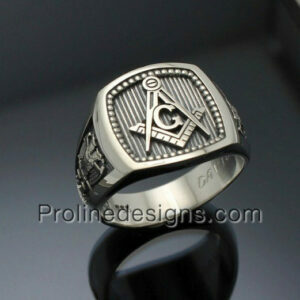 Our new modern design is made for the modern mason with a low profile and comfortable fit. 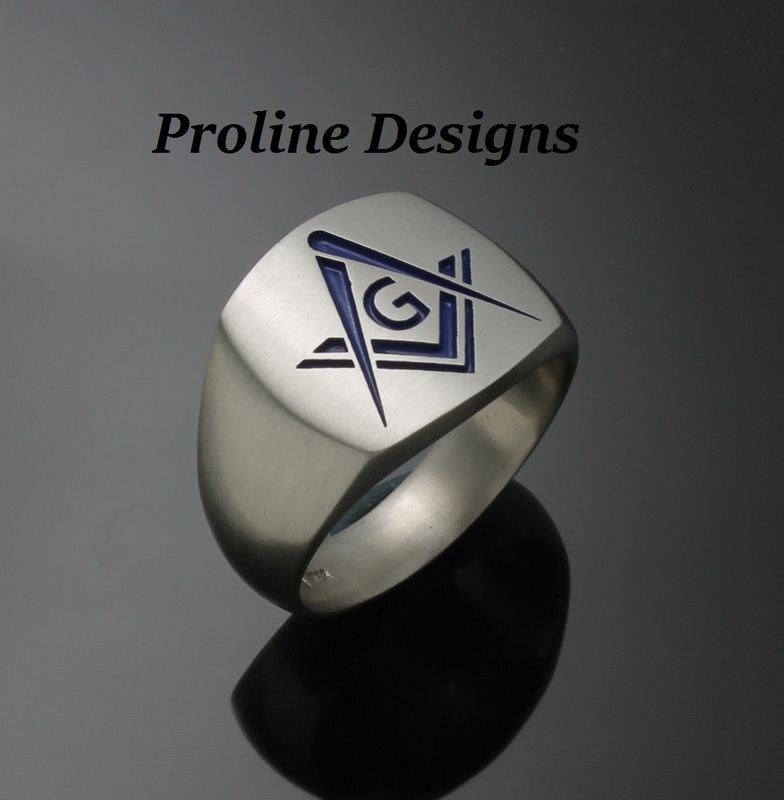 Featuring the square and compass in blue on top with solid sides and finished to perfection with a brushed look to make the emblem stand out. 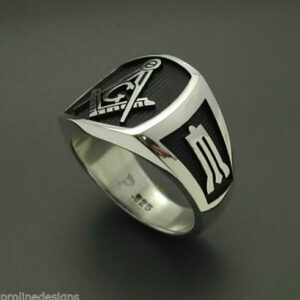 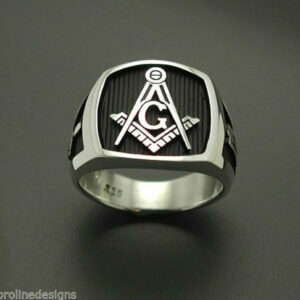 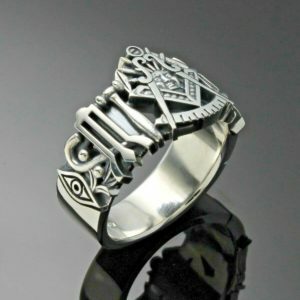 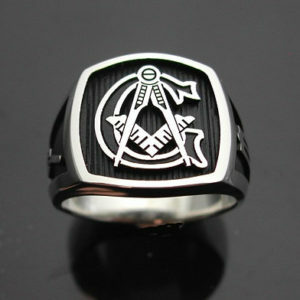 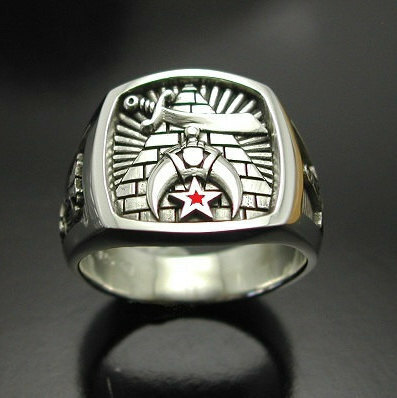 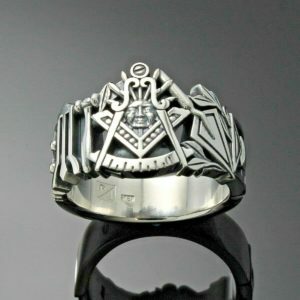 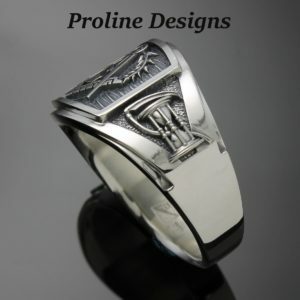 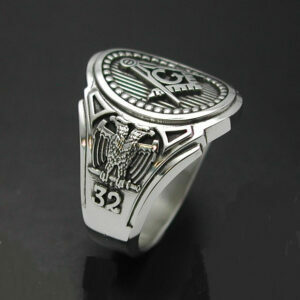 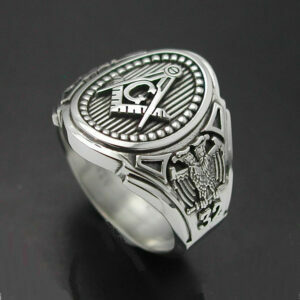 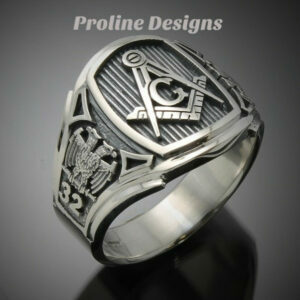 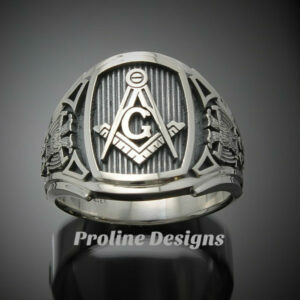 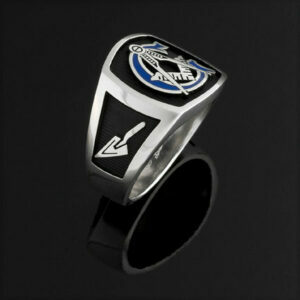 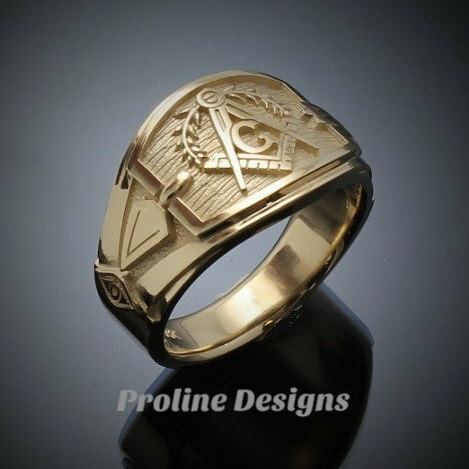 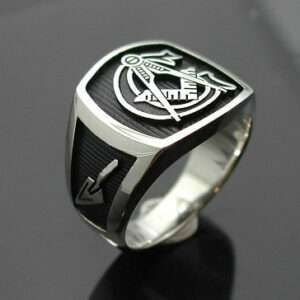 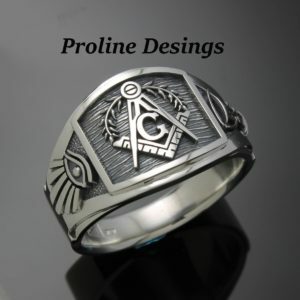 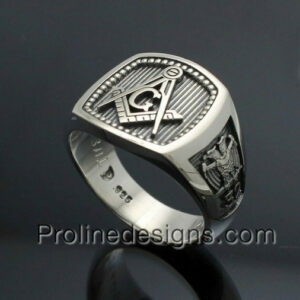 This ring is sure to be the pride of any Master Mason. 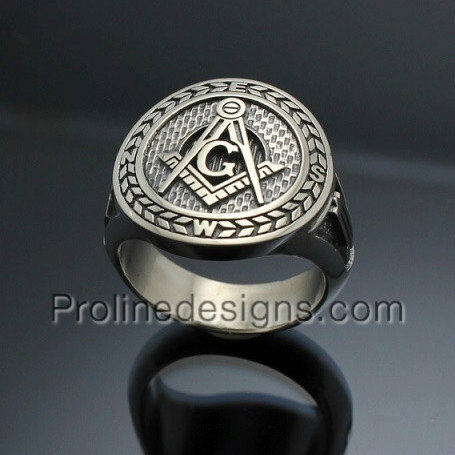 * The top has the modern square and compass pressed in. 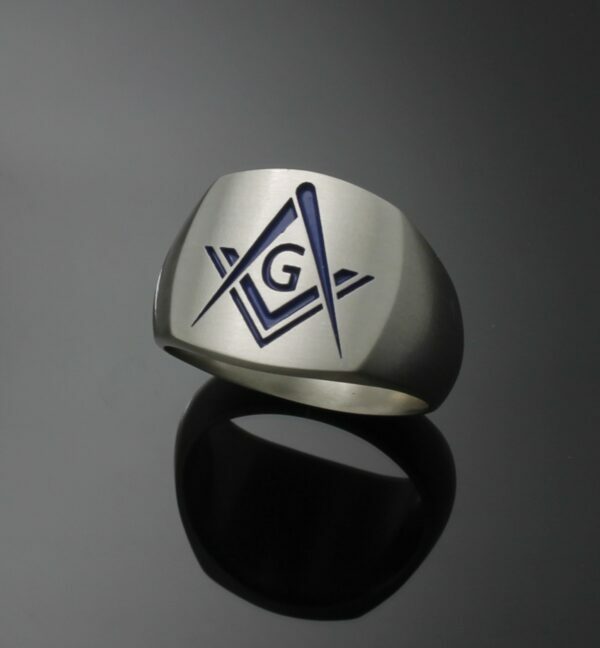 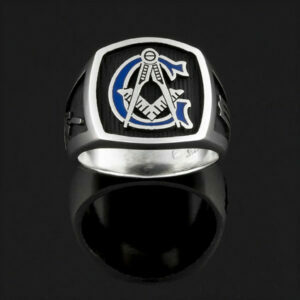 * Durable blue fill and brushed finish to enhance masonic symbols.